However, the most amazing part after the class is folks going back to their workplaces with transformed perspectives. The biggest Ah-Hah moment for participants is that success as a presenter has little to do with what we say, but has much to do with the mindset we carry while in front of an audience. As many of you have heard me say in class, “A knife in the hands of a Doctor can save lives, while that same knife in the hands of a thief can take a life.” It’s the same with our perspective. If we view presentations as a necessary evil, or see our audiences as a threat and associate it as a painful situation, we’ll likely falter. However, if we view presentations as an opportunity to communicate a message, or see the members our audience as one of our own and welcome the situation, we’ll surely find success in the process. Behind every fear is an amazing opportunity that is waiting to be seized. What opportunity is waiting to be embraced by you? 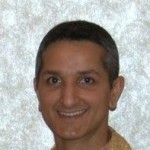 Mitesh Kapadia is the Regional Instructor for the Northeast region. He is based in Chicago, but he also teaches in New York, New Jersey, Philadelphia, and all New England Cities including Boston, Providence and Hartford.